Innovation and Inspiration can be sought, and found, in some of the most surprising places. Of course, it will come as no surprise to regular readers of the ‘Capital I’ Innovation Series, that I am a firm believe in the necessity of innovation in all things, be it in art, technology, science, education or social sciences. 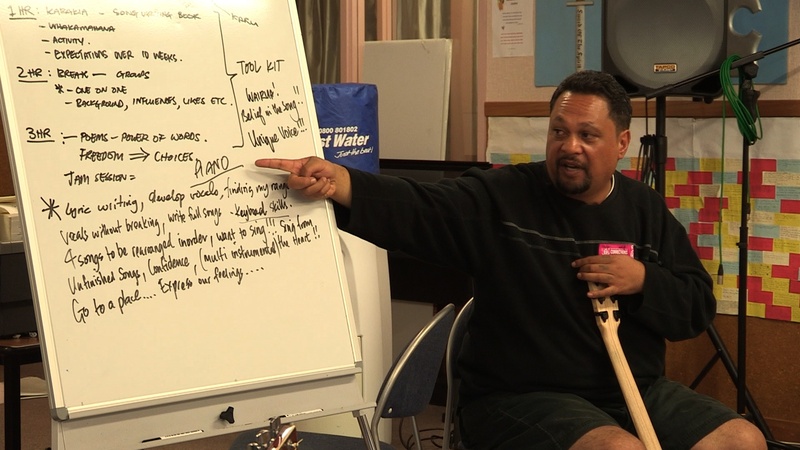 I shall be ever grateful to my Kiwi connection, Steve Gray, for introducing me to ‘Songs From the Inside,’ a music therapy programme in New Zealand, which brings established musicians into the Rimutaka and Arohata correction facilities to teach songwriting to prisoners. Though music therapy is used in correctional facilities worldwide, this is the first time established musicians have been brought in and the program recorded for public viewing. 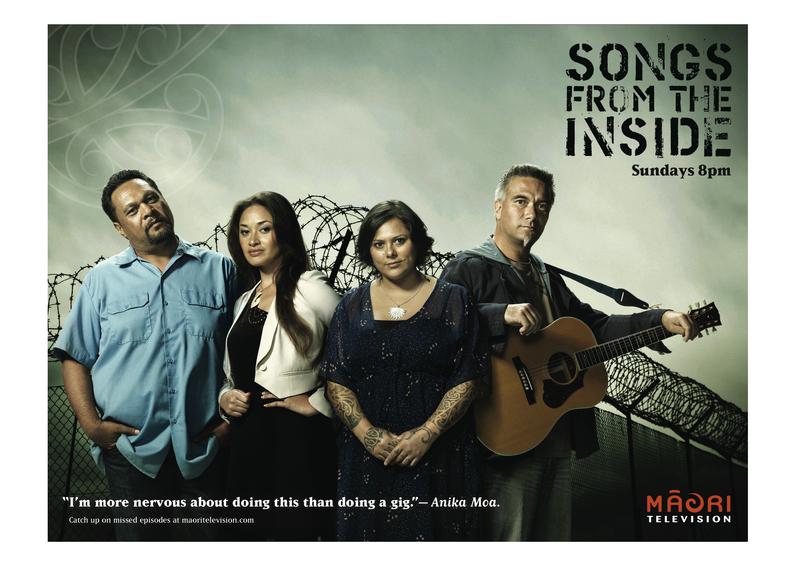 Screened on Mauri TV, and also available online, ‘Songs From the Inside,’ brilliantly follows and films musicians Ruia Aperahama, Warren Maxwell (original lead singer with Trinity Roots and founding member of Fat Freddy’s Drop), Anika Moa and Maisey Rika along with ten prisoners, through their workshops, challenges and culminating outcomes. In the thirteenth episode, an hour-long special, songs that the prisoners wrote, sang and recorded will be revealed, with an album released and available to download the next day, June 11. I have had the immense pleasure to interview the programme director, Julian Arahanga; participating musician, Ruia Aperahama; and the instigator of the Innovative program, Evan Rhys Davies. Speaking with each of them was both inspiring, enticing, exciting and deeply moving – I hope you find following our conversations as interesting as did having them. Congratulations on the project! I just think it’s magnificent work. I can only imagine how proud you must be of it. Thank you very much. I do feel proud. I always knew that we were doing something good but it turned out quite a bit bigger than what I’d originally envisioned. I knew there was the possibility of it being a breakthrough type of show… Everybody is always very interested in what goes on inside prisons, and with the quality of the musicians that we had… I always thought that if we were able to weave those elements together we were going to come out with something powerful. And you did! One of the things that shines through, along with the quality of the musicians artistry, is their quality as human beings. The level to which they gave of themselves so generously to the project is extremely beautiful. That was part of selection criteria that we had. We didn’t want to select pop stars per say. The people that we needed, to make show successful, were people who had a social consciousness and who had lived a little; they had some life experiences, and a world view of their own to fall back on. From the very early stages, as a group, we talked about the type of things we were setting out to do. Everybody knew we were trying to get a little deeper than just the surface. To do that we needed to reach out and make ourselves vulnerable in order to achieve our goal of getting these people [the prisoners] to open up. If you were to look at the programme as a journey, was there a place along that road you hoped the prisoners involved would reach? I think there were a few goals. The first was hinged around the music. With the musicians our goal was to help these people [the prisoners] create and produce music that only they, as individuals, could have made… songs that were written from the heart. Secondly, it was about showing the human side of the prisoners… Showing that they’re not just stats and numbers but actual human beings who are very much like you and I. They have their ups and downs, but various circumstances and their actions have landed them in this place. Another goal we had for the project was to show people at home, even if just subconsciously, how to write their own songs. I hope that from watching the show people will be able to understand what a hook line is, what a bridge is and why you need one… we gave them the basic tools to be able to create their own song. Anyone can write a song and everybody has got at least one song in them. It’s a whole new take on ‘The Voice’ or ‘The Idol’ franchises. It’s the ultimate reality in reality television. You’ve brought clarity to a genre that has, at best, been muddied, and that is to be applauded. I think that reality TV can be a different experience to how we perceive it currently. I can only assume that there were many issues you had to deal with due to the fact that your subjects were incarcerated… even such mundane things as having a shortened filming period. Did these issues necessitate you having to come up with different ways of approaching the production? Certainly. Every production has its challenges. We just adapted to the playing field that was given to us. If we were filming soldiers in Iraq, we’d be dealing with a whole lot of circumstances there. You’ve just got to evaluate the situation and find the solutions to the parameters you’re given. The shortened day was a big issue… we only had three or four hours with our students, so that was when the cameras pretty much didn’t stop rolling. We were constantly evaluating what worked and what didn’t… because if one of the cameras hadn’t got the shot when it happened then we didn’t have it… it’s not in the show. The biggest challenge, which was at the heart of the show, was to make a connection with, and gain the trust of, our students. That was the true challenge because without that connection and trust we really wouldn’t have had a show. Was there a danger of the artists connecting too much, or being overwhelmed and drowning in the prisoners’ stories and personal dramas? And, if so, how did you help them to protect themselves from those dangers? Think that danger was very present. So, we had mentors… we had Jim Moriarty who has worked in prisons for 25 years. He has taught male and female prisoners drama – a situation where you really try to evoke emotions, such as anger – and has worked with both medium and high risk offenders. During the process of making ‘Songs From the Inside,’ if we felt that anyone was feeling under pressure and in need of assistance the mentors were there for them. As Maori people we’re very giving and open. We treated the people that we dealt with in prison like they were our cousin, our brother, uncle, auntie or sister. Once we had met them and begun the process, the barrier perception: “They’re prisoners and they’re bad,” was pretty much nonexistent. So many of the prisoners are, at least to a certain extent, Maori. Do you think that was important in being able to achieve the level of connection you did? I ask that because I wonder if the programme could be replicated in another part of the world, where that brother/cousin connection is not so strong – if there at all. I have no doubt that the process can be replicated in any country where there are prisons and people who love music. I think that, in trying to connect with them, it helped us immensely that our students were Maori. But I’m hopeful that next year we’ll do another series of ‘Songs From the Inside’ at a different location in New Zealand where we will have a more mixed representation of ethnicities. I think by the end of that process we will have proven the theory that we have developed: that the process of song writing, and drawing out songs from people’s hearts, can work with anybody in any scenario. It’s a very inspirational, Innovative process. Were you looking to make a change within the correction system when you set out to do the project. Well, you aim high with everything that you do. I didn’t know how we might be able to affect the Corrections Department in New Zealand but I think that, by getting them involved in the process, we’ve already made some form of change. Have you had feedback from the correction system? The Corrections Department is 100% behind the project, and they’re already behind the second series. Their CEO has even used the project in his speeches to prison managers nationally. Frankly, I’d like to see music departments in every prison in New Zealand. Long term, on a national scale, I’d like to see music departments, instruments and tutors going in, using song writing, poetry, writing and music. I don’t like to call it rehabilitation or reforming people. I’m not a criminal psychologist; I don’t know how you determine whether someone is rehabilitated or reformed. What I do know is that life is about steps and this is one step. The programme and the people involved had been given a commendation from the New Zealand Parliament, which must be quite marvellous to receive. Did receiving it come as a surprise to you? It was a surprise… a very nice surprise that was very welcomed by everybody in the whole production, along with our supporters and our families. Along with that, the programme is being talked about a lot internationally. That too may have been something of a surprise as was screened on Maori TV rather than on large, national channel. Though, I understand it is has large, international online viewer numbers – which is where was able to watch the episodes. I’m currently close to having a team ready in Ireland. We’ve got a prison in Dublin that houses male and female prisoners that is interested in replicating the program. They’ve been able to watch the episodes on the Maori Television website, and they get it. They’re from another culture, and they’ve got different sensibilities, but they get it and they know it would work in Ireland. We’re also trying to have it made in Australia. We’ve got one correctional facility already on board, we just need to get a female correctional facility and then I think we can make it there next year. When you look back I imagine that there are all sorts of memories that jump out. What are some of your strongest ones? If I use a timeline as my guide, I think talking with Evan [Rhys Davies] while he was living in Hong Kong… I told him I’d like to make a television series based loosely around the music programme that he ran in Spring Hill Prison in the Waikato. That’s when I really thought this could work. There are just so many moments, like the day when I signed all the artists… And they didn’t have to think twice! I sent them a few paragraphs about what we wanted to do and they all wrote back saying: “Yes, I want to be a part of this!” Obviously, the day we got funded which meant it was happening… The first day of filming, when we all came together. A super highlight was the day we went into the prison. The amount of emotion in there and the amount of belief, openness, forgiveness and willingness to learn. That was a very special day. And of course, the recording day, when we recorded everybody’s songs. That’s the big payoff for everybody who buys into and watches the series. When you get to episode 13, you get paid off for your loyalty; I think that’s going be really rewarding for viewers. I’m told there are some very beautiful songs well worth watching for and I’m very much looking forward to their release. Prior to speaking to you, I did a small, online search of songs either written about, from, or just after release from prison. Many of them gave me goosebumps. They were very different pieces… be it the Ska of ‘54-46 That’s My Number’ or the rockabilly-blues of ‘Folsom Prison Blues‘ for instance. And yet there was a reality – a truth – that they shared. Some of the songs are so personal, nobody else could have written them. It’s not the kind of album that you’re going to be having a party to. It’s the kind you set aside some time in your day to sit down and listen to. You can pull out the booklet, read the lyrics as it’s all going down, and enjoy the whole experience. If you watched the TV series, you can relive the experience in a new way. When is the album going to be released? The 13th episode is on the June 10th and the album will be in stores on the 11th. It will be downloadable from iTunes at midnight (NZST). How exciting! I can hear from you voice that it means a great deal to you. Do you feel that being involved with the programme has changed you in some way? I’ve been involved with a lot of projects and generally every one changes you in some way, but I feel like this project has given me the clarity to know what I want to do with my life. I’m going to focus a lot more on projects that deal with social issues… Not just for Maori people but for all people, particularly in New Zealand, but on a global scale as well. It’s a great culmination and conjoining of both artistry and activism; it’s Innovative and Inspiring! You know what the good thing is? We’re ‘good’ from both sides! The Corrections [department] love us. We’re the best thing that’s happened to them in years because, lets face it, they don’t get a lot of good press. Even the Sensible Sentencing Trust haven’t slammed the project, and they’re about as right-wing as you can get in terms of recognised groups with a media voice. Maybe it’s because the project is so sincere and honest. It’s people talking about their lives and trying to help one another. And it goes both ways – the musicians get an amazing life experience; they’re being challenged in all kinds of ways, so everybody is growing together. Songs From the Inside seems a perfect synthesis of your talents as a teacher, musician and activist. First and foremost I’m interested in people. My motivation comes from believing that people have an intrinsic value and we need to find a way to let people know that. For me that connection with, and working with, the prisoners was an extension of what I feel passionately about: connecting with people and helping them find their place in the world. ‘Songs From the Inside’ is based on a programme you devised earlier. What was your impetus for beginning it; was there something that happened, something you saw or heard that made you think this was a necessary thing to do? I got a call from a friend saying: “We’ve got this pilot programme at Spring Hill prison… Would you be interested in teaching creative writing and maybe branch into song writing? You can pretty well write the programme. What do you think?” I thought: Yes! In the first class there were about 20 guys and a lot of them had issues with writing in general. In the second there were eight to ten guys and they just rocked up to class; there’d be eight guys and three guitars. They’d heard the words ‘song writing’ and missed the creative writing part, so straight away I was getting these guys offering me songs. The first song one of the guys played had the lyrics “It’s your birthday today and I’m not with you.” It was to his two year old daughter, and I just thought, what a start to a song! No one else is going to come up with a lyric like that. In the first class we mainly focused on developing technical skills the guys could take away to use to express themselves better. We focused the second class more on song writing. One guy, who had barely said a word for seven weeks agreed to share a song one day. 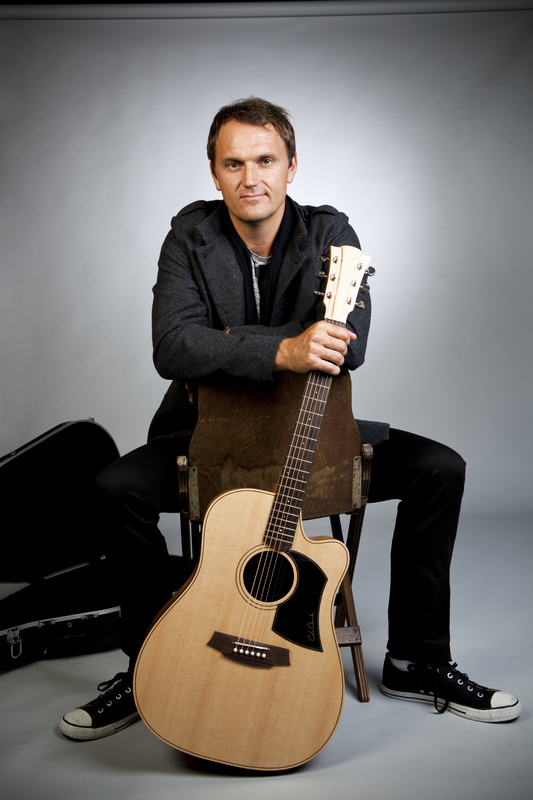 When he did, he sounded like Jack Johnson; he had an amazing voice and it was a beautiful song about saying sorry. That’s when I knew we had to record the songs. What was your goal for the project? Was it mainly to fill the prisoners’ time and bring them some peace while they’re inside, or was there a view to them being able to use these skills in some way once they get outside? I know that the ‘Songs From the Inside’ production team would say that they aren’t trying to reduce the crime rate dramatically in New Zealand. The idea is that we’re trying to give people tools and one of the most powerful tools is self-expression. I’m sure anyone would recognise that if you can express yourself well… if you can understand how to say what you want to say – what you need to say! – then you’re going to be a lot healthier on the inside. You’re a lot likelier to get along with people rather, than getting on top of them, and a lot less likely to get yourself in situations where you express yourself through other [more aggressive] means. How important has it been to have Julian Arahanga involved? He is obviously a very talented director but, more importantly, he’s a guy who is more interested in the welfare of the prisoners than making his television show. Of course he is an incredible professional and he’s doing a great job on the TV show, but the way he handles and respects people has really blown me away. Throughout the programme Maori was being spoken and, as a viewer, I revelled in how beautiful and musical that language is. That must have been interesting to you, due to your love of language and music. Ruia Aperahama, one of the musicians involved in the project, is an incredible guy… An amazing storyteller, and an incredible linguist as well. 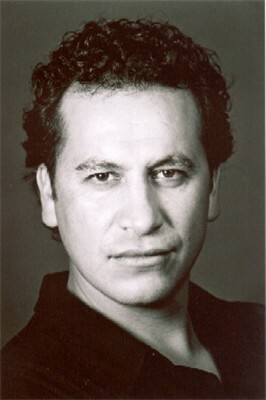 He speaks fluent French and Maori as well as English. One minute he’d be talking to us in English, then get a call from someone in New Caledonia about music and he’d switch to French, then turn to his eight year old son and talk to him in Maori. He’s very interested in language and the musicality of it. Through the series you see that he’s an incredible orator and communicator. He really engages with language and helps other people to do so as well. And he’s also incredibly talented in the use of body language. Very much so. You have to see the last episode… I was crying like a baby because it was just beautiful, there were so many amazing moments. Ruia came to these occasions with a heart for the people, especially for the Maori, who were inside the prisons. Because, let’s be honest, we need to look at other ways of trying to restore faith and confidence in a lot of disenfranchised Maori people who’ve ended up in prison. That’s not a generalisation – that’s a fact. 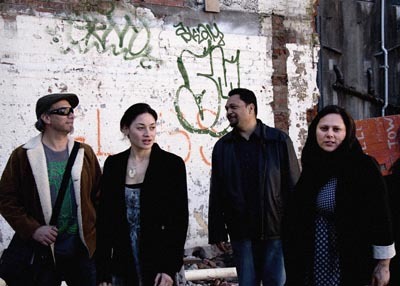 ‘Songs From the Inside,’ which is such a success, seems to reflect something of New Zealand culture – and certainly of Maori culture – in that it celebrates and honours coming together as a community. Was that part of what led you to get involved in the project, and did that affect how you approached it? I come from a strong Maori community, from a Marae which has significance in New Zealand history. And, I’ve had some previous experience in prisons, and other places, helping out second chance seekers. To do a project of this nature… To go in with a teaching angle – sharing, facilitating and creating opportunities – while working with other high-profile artists, for me was a once in a lifetime experience. Though, I hope that we might be able to do something similar again. We all knew it was going to have some impact on our lives… And not just for us, not just for the inmates but for everyone that worked on the project. As well as being a gifted musician I understand that you trained as a teacher. The project must have been a quite serendipitous melding of the two paths in your life. I trained at teachers college in the eighties, so when Julian asked me if I wanted to do this project and described what we would be doing, I jumped at it very quickly. I was honoured to be asked to go into the prison because most of our [New Zealand] prison population is made up of our [Maori] people. I’ve got relations and family who are either in the system as prison officers, administrators or in some kind of government departments; but they’re also somehow related to and connected to inmates. So, at the end of the day, it was a blessing to be asked to share that environment with our relations. When you began the project were you able to walk in clean and clear without any assumptions about potential outcomes? There were some anxieties about the unknown, but that’s part of taking risks and not having much control over the environment we were going into. We were pretty limited in what we could shoot, so we had to create opportunities, while we were challenged with the concept of having to deliver almost a ‘wonderful world of rehabilitation’ type of programme. When I say rehabilitation, I mean that there are components for inmates not only to learn about constructing and creating songs, but also to learn how to conduct their life. When you’re composing songs you have to do a lot of collaborating and with collaborating you have to learn to compromise. You have to learn how to share and when to step back. You learn that it’s not just about the artist or the singer; it’s an industry. You’ve got directors producers, engineers, technicians, programme managers… There are a whole lot of people in the industry. If they wanted, the inmates can explore this further. We’ve just given them a taste of an alternative lifestyle; an option outside of the prison and outside of gangs. Hopefully at the end of the day we gave them an insight, just as the programme gives the New Zealand public an insight into prison culture. They [the prisoners] have made mistakes – that’s why they’re in prison and paying for their crime. In my opinion, the programme not only shows some different options and alternative lifestyles that inmates might choose outside of prison, but it also helps to humanise the inmate. I don’t think that after seeing the programme you can generalise any longer about ‘them and us’. One of my strongest memories from the programme is in the initial episode when you acknowledged everyone within a speaking circle. It seemed to be incredibly important in building the initial bridge between the project makers and the inmates. Is that something that you set out to do consciously or was that just a natural thing that happened? That’s the opportunity I think that our culture and our customs provide. In our [Maori] culture, through our customs and rituals, the art of oratory speech making has an obligation to create and an opportunity to acknowledge things that should be acknowledged. For me it reminds us how important our humanness is. It doesn’t matter whether you’re an inmate, a high-profile musician, an administrator, a prison officer or anybody else involved in the justice system. What’s important is to reconnect to being human. I wanted to challenge the stereotypes of prison inmates and prison guards. I certainly saw not only the opportunity and the willingness to change in the inmates, but I also saw the human side of the prison guards every time we came through security. It is very important to make all people feel valued. You were able to empower the prisoners to give expression to their feelings, hopes and fears in ways that, perhaps, they’ve never done before – or at least had never been acknowledged for doing so before. I know many males find it very difficult connecting with, for lack of a better word, their feminine side… To connect to feelings instead of lashing out, using verbal abuse or other forms of violence, like the ones that put them in prison in the first place. Instead of using those tactics in communicating they had to learn that vulnerability is the first thing to transform your life. We showed that only when you’re vulnerable can you surrender; only when you surrender can you make transformation and change in your life, so you can make different choices. Otherwise you just become part of the high statistics and vicious cycle of reoffending. Personal Innovation, at a very deep, core level, can touch anyone anywhere. Reaching back to my culture and upbringing on the Marae… It’s not an excuse, but the history and colonisation that happened in our country, for me, has contributed to the large percent of Maori making up our prison population. For me that’s a driving factor to make a change – to make a difference. As I understand it, a Marae is a sacred meeting place. Is that correct? It’s the central point of our community. It’s represented by a tribal house, which is the focal point, and would usually be the main ancestor of the region that the Marae stands on. Through that, through the genealogical line of that ancestor, you can connect to members of different communities. Is it possible to carry a Marae with you? The reason I ask is, it seems to me that in some way you brought the spirit and strength of your Marae with you into the prison. I understand, and yeah, I agree. A Marae isn’t just a physical location. Marae is a lifestyle, its how we choose to live our lives and interact with each other. You bring a deep, palpable level of emotional strength to the programme, which is very inspiring. Without getting too profound, in our vulnerability and humanness there are lot of exciting things we can share and give one another whether we are inmates, rich, poor, celebrity or not. There are wonderful moments that we can give one another and, certainly in ‘Songs From the Inside,’ there were a lot of those moments that will continue to help me on my journey. What are your strongest memories of the project? The strongest memories would be the connecting and the humanness, the breaking down of barriers and stereotypes; and there are a lot of stereotypes out there about prisons. The hardest time was having to leave every day; going back to our families, to our sense of freedom and the normality in our lives after having spent a day taking on board the things that the guys needed to talk about. We’d have touched on vulnerability and surrendering and that’s not easy for anybody… admitting that you’re wrong or you have things you need to improve on. Of course if you want to sing from the inside, from your heart and soul, you have to break down all of your stereotypes and your barriers so that you can connect and access what you want to say and how you want to say it. The crafting of that, and helping to develop people’s personality and characters, was a wonderful experience. If it was difficult to leave at the end of each day’s filming, how was it to leave on the final day? That must have been particularly emotive. For me, the last episode was reaching a milestone. It was a time to summarise everything: Did we achieve what we set out to do? Did we make an impact and change in somebody’s life somehow? I was really excited because I could see how hard the inmates had worked and how far they had come! The result of having produced and recorded a song, in allowing and admitting their vulnerabilities – and our vulnerabilities – created a collective strength. The programme and album is, I suppose, a montage of that journey. To be a part of that, to celebrate people’s successes and the changes that they’ve made, is not only an honour but, to be able to help, them along the journey… that’s an even greater blessing. Have you been changed by the project? It’s certainly helped me to have more gratitude about what I have in my life. It helped me reconnect and see how important it is to reach out and be a part of people’s lives… networking, growing and learning something every day. But, most of all, I think the whole experience is about humanness. It underlined how it is in our humanness that we are all vulnerable, and when we are all being vulnerable we are all equal. Kim, Julian, Evan and Ruia Skyped from their homes in Sydney and New Zealand. Songs From the Inside is available for download purchase from iTunes; the CD and DVD can be purchased from Amplifier. 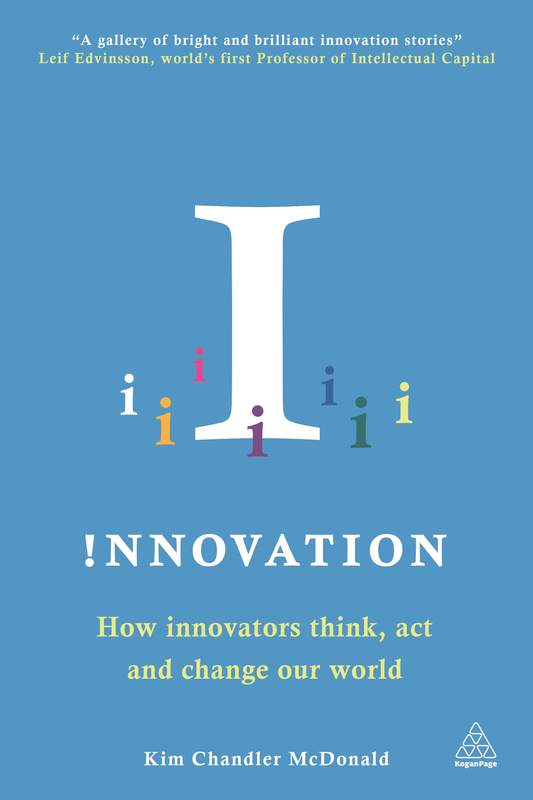 This is the final interview in the ‘Capital I’ Innovation Interview Series, as due to its popularity the series grew into the book, Innovation: How Innovators Think, Act and Change Our World (published in print, and as an eBook by Kogan Page in October 2013). 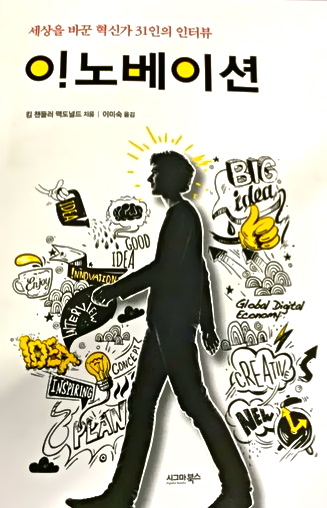 It introduces readers to a select number of pioneers who have broken the mould, led the pack, and moved their own particular mountains in a wide range of fields (including business, technology and travel, engineering and energy, government and social policy, the arts and advertising, media, medicine and more). It is also available as an innovative, industry-first, Enhanced Edition/ Online Ecosystem, which integrates the latest interactivity, web publishing, cloud, mobile and responsive technologies along with KimmiC’s FlatWorld ‘secret sauce’ and SmartMarks – interactive, intelligent bookmarks. 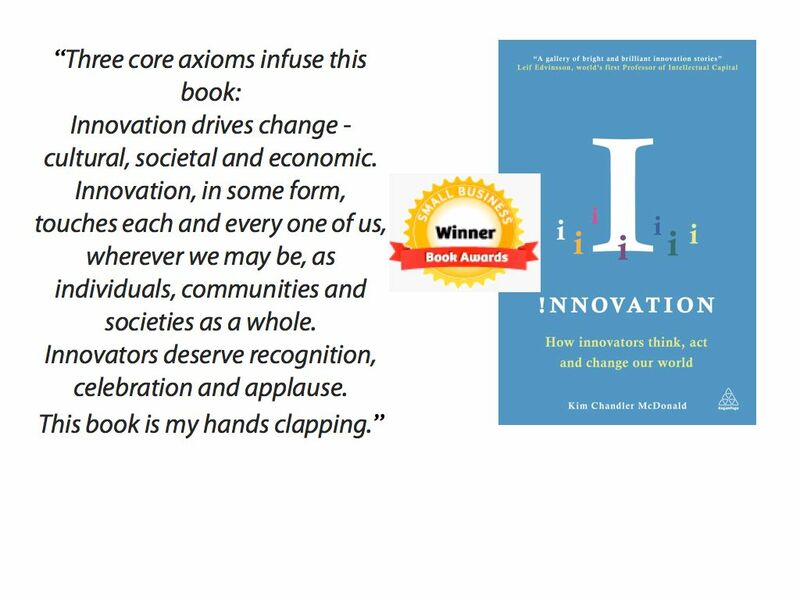 Innovation: How Innovators Think, Act and Change Our World, recently won a Best Business Book award and was translated into Korean for sale in that market. I’d like to thank the many thousands of series fans and readers, who were integral in making the book possible! I AM NOW HARD AT WORK ON MY NEXT BOOK, (DUE TO BE PUBLISHED BY KOGAN PAGE IN DECEMBER, 2015), WHICH EXPLORES COLLABORATION AND FLAT WORLD NAVIGATION – WATCH THIS SPACE FOR DETAILS! UNTIL THEN, I WISH YOU ALL NOTHING BUT THE BEST INNOVATION IN EVERYTHING YOU DO!! This entry was posted in 'Capital I' Innovation, Creativity, Digital Media, Innovation and tagged 54-46 That's My Number, Anika Moa, Corrections Department, Evan Rhys Davies, Fat Freddy's Drop, Folsom Prison Blues, innovation, Inspiration, Jim Moriarty, Julian Arahanga, Kiwi, Maisey Rika, Maori, Maori TV, marae, music, music therapy, New Zealand, New Zealand Parliament, prison, prisoners, reality TV, Ruia Aperahama, self-expression, Social Science, song writing, songs, Songs From the Inside, Steve Gray, Trinity Roots, vulnerability, Warren Maxwell. Bookmark the permalink. Normally I don’t read article on blogs, however I wish to say that this write-up very forced me to check out and do it! Your writing style has been surprised me. Thanks, very nice post.